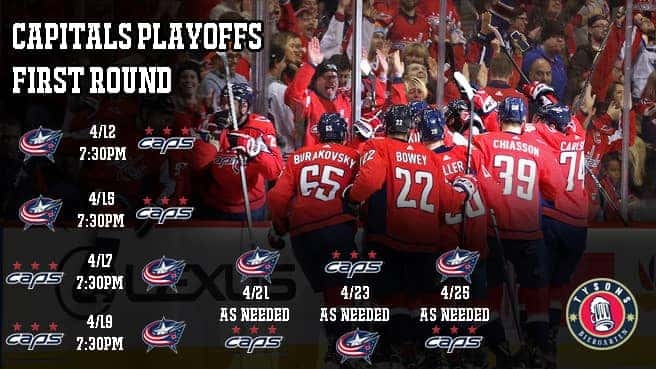 The Washington Capitals take on the Columbus Blue Jackets to start off this year’s playoffs! Each game begins at 7:30pm. The first four games will be 4/12, 4/15, 4/17, and 4/19, with additional games on 4/21, 4/23, and 4/25 as needed.